If you want practicality, dependability and iconic design, then you’ll want to look at KitchenAid appliances for your kitchen. Since 1919, the engineers at KitchenAid have been looking for ways to make work in the kitchen easier. With sleek aesthetics and power built in, KitchenAid appliances are made to last as well as look incredible. 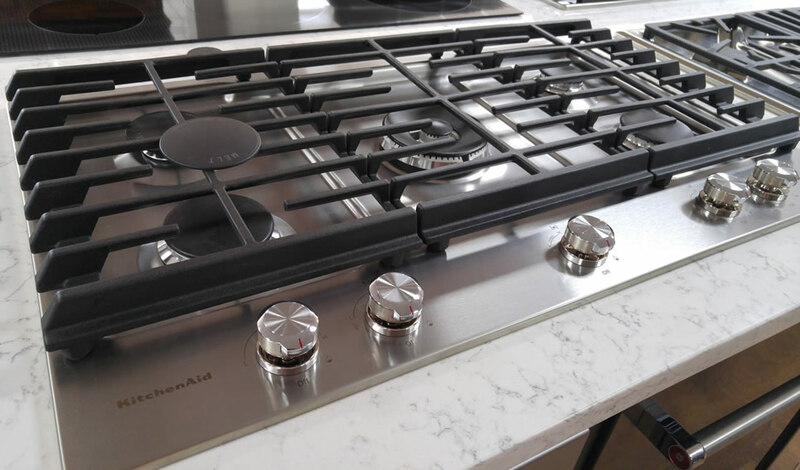 The chef-inspired design of the ovens, stovetops and refrigerators will create “kitchen envy” for everyone who sees your new appliances. 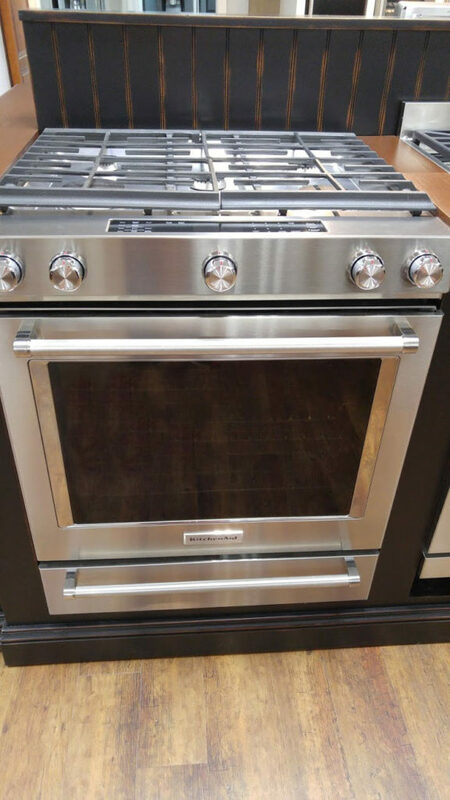 KitchenAid appliances were designed for those who love to use their kitchen to create. With KitchenAid, cooking is more than just about meal preparation. Meals are made for the experience. It’s how we bring relationships together. Limited only by your imagination and creativity, we can help you create the kitchen of your dreams. Everyone knows about the KitchenAid mixer. It’s been an iconic fixture in kitchens across America for nearly 100 years, but the same designers that made the “nation’s mixer” went to work to create high-performance kitchen appliances with the same attention to detail, quality and craftsmanship as well as timeless design. KitchenAid keeps their focus on kitchen appliances only. Their goal is simple- to push the limits of design and create the greatest appliances possible to help you make the world more delicious. Start today with your kitchen. 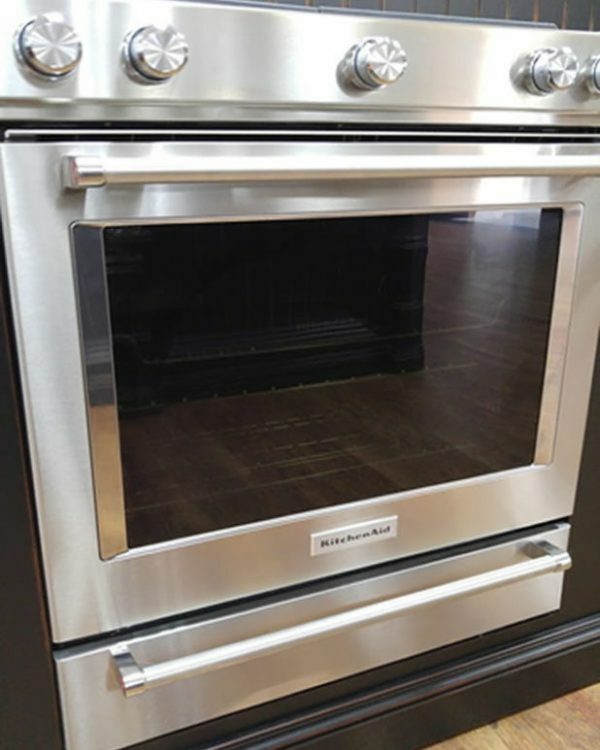 Call us or visit today to learn more about all the KitchenAid appliances we carry. It’s your kitchen, let’s get cooking. Call us or visit today to learn more about all the KitchenAid appliances we carry. It’s your kitchen, let’s get cooking. Click here to learn all about Bosch Kitchen Appliances.